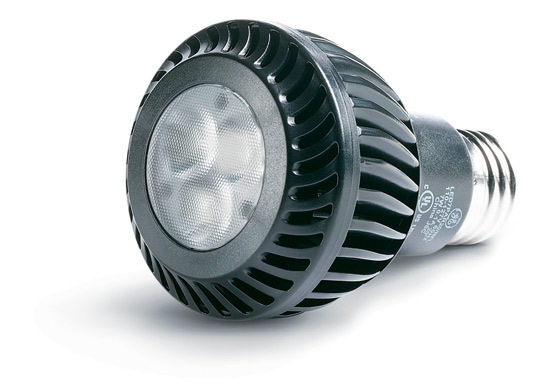 GE is preparing to release two new energy efficient LED light bulbs designed for commercial usage. 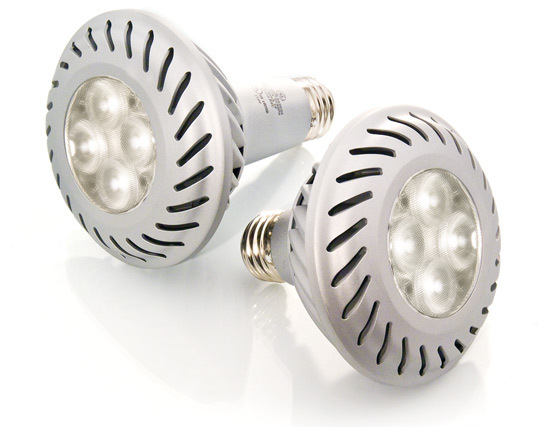 Coming in 7 and 10-watt models, the new energy smart LED lights have white light emitting diodes that are ideal for spot lighting without extra wasted light. While LED lights can easily replace the overall glow of the common incandescent light, these new designs match high wattage, high lumen output halogen lights. The bulbs can achieve this quality of light with tremendous energy savings that can be up to 80 percent compared with a standard 45-watt incandescent bulb. Thee bulbs will also last 10 times longer, with an expected lifetime of 20,000 hours. environmentally, the LED lamps contain no lead or mercury.